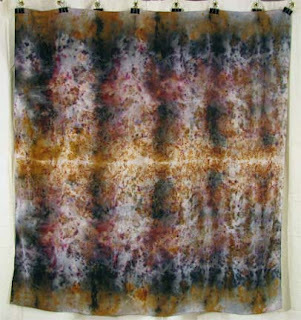 Compost and rust dyed (natural dye processes) silk crepe de chine. 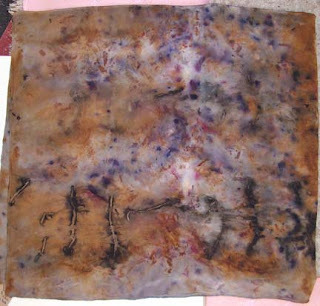 Well I was going to sell these scarves and decided it needed to be turned into artwork instead. The bottom scarf reminds me of a photo my mother took of the lake a long time ago, the water was so still you couldn't tell the lake from the sky.